big day. 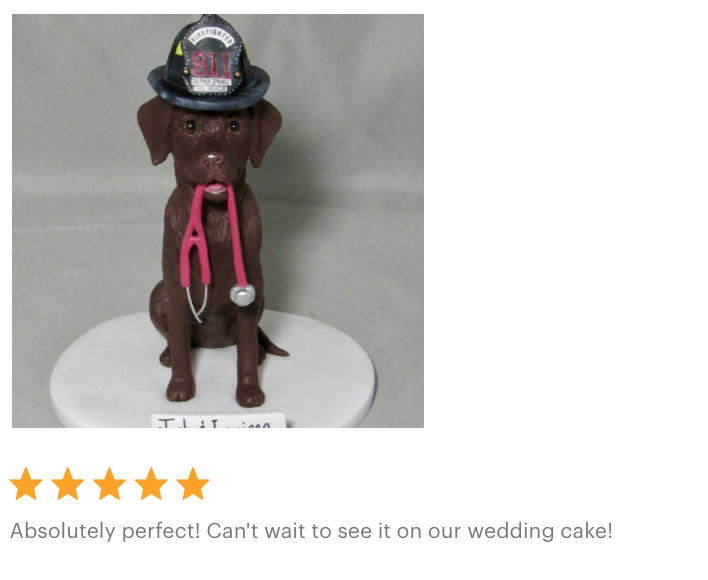 Puffy was already pretty fragile and blind at the time when I ordered the cake topper and we both had a feeling she was not going to last too much longer. Sure enough, Puffy passed away a month later peacefully and that was really one of the saddest days of our lives. 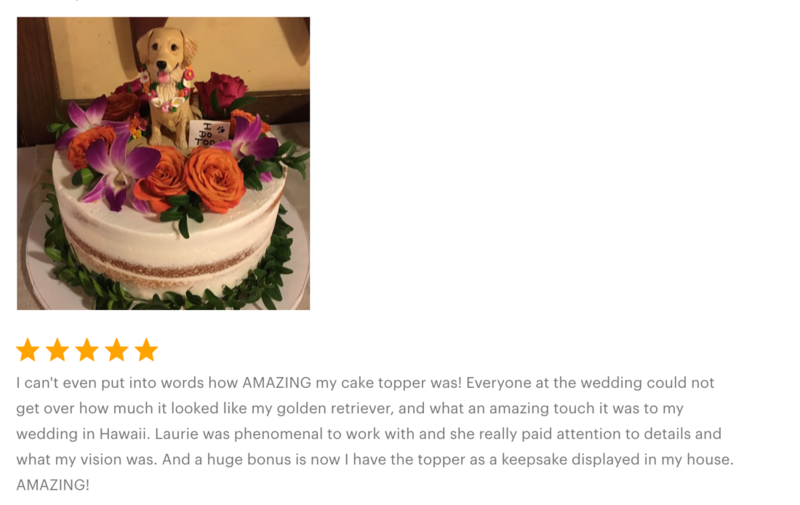 I was just blown away when I saw the pictures of the cake topper from Laurie and was amazed at the level of detail she did and how live like it was. When we finally received the end product in the mail, I was in tears for the longest time because it reminded me so much of my dear dog Puffy. All of my friends were also very amazed with Laurie’s work and so many people asked me where I got it from. 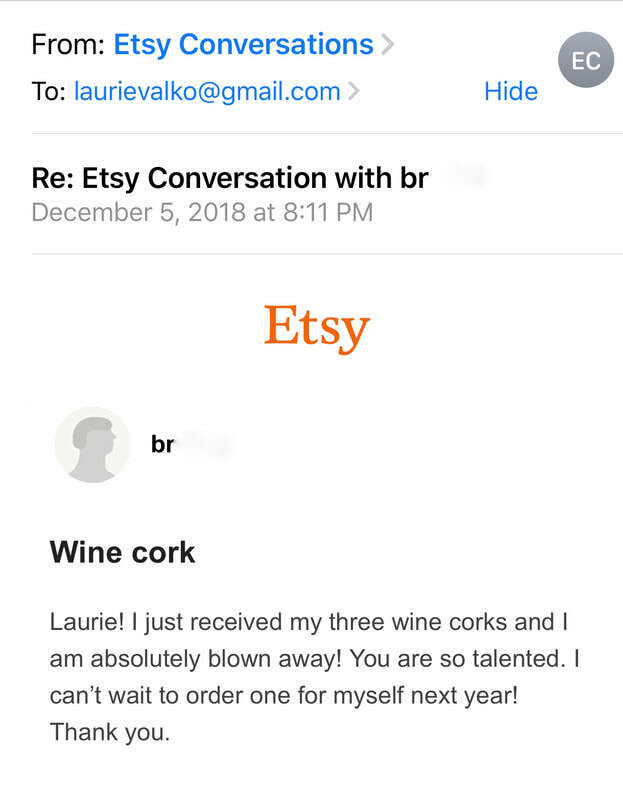 Laurie, I can not tell you how much we appreciate your work and how much we loved that piece you did for us. Puffy is in our living room and it is a piece we will treasure forever. Thank you again for creating it- it is such a wonderful memory to have." 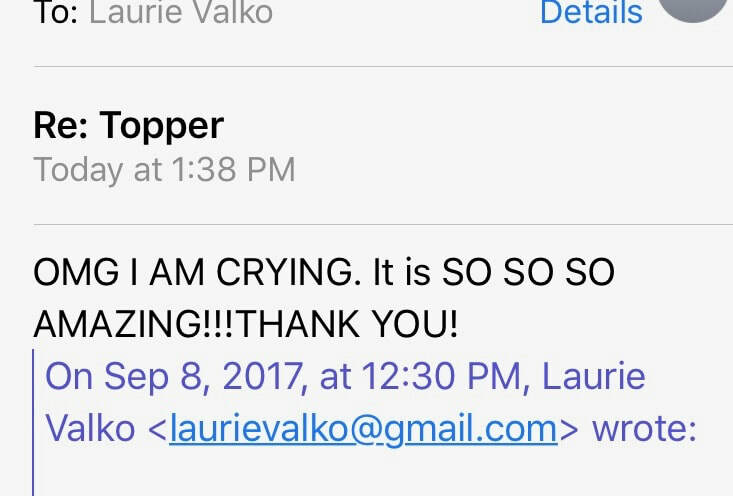 "Laurie, I just want to thank you for the amazing work you have done. Everyone I've shown the cake topper to has loved it. Your work is a demonstration of your amazing talent and we are all so grateful for you sharing it with us." 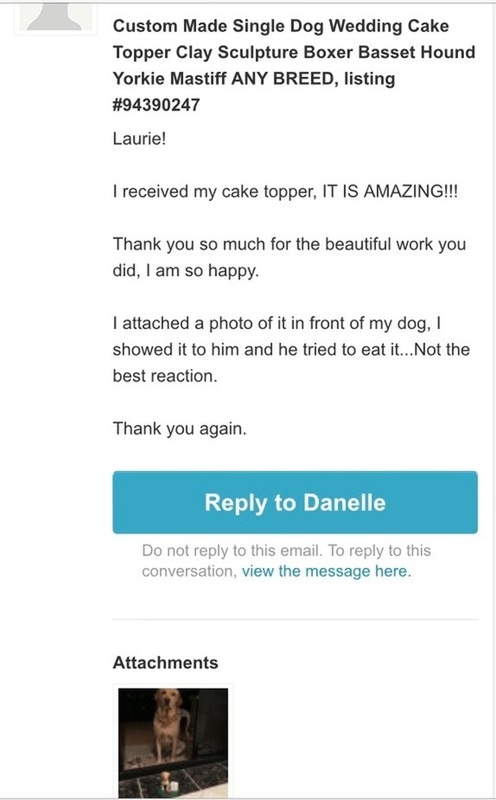 "Thank you again for taking your time to complete my wedding cake topper. I know it was made with not only talent, but with patience and love. I can't wait to see it on my wedding cake and to treasure it forever. My dog's vet she only has about a year to live so this is the most wonderful memory I will have of her. Thank you Laurie!" "Oh! I love love love it! Everything is perfect and sooooo cute! I can't wait for our wedding day!" "It looks brilliant! 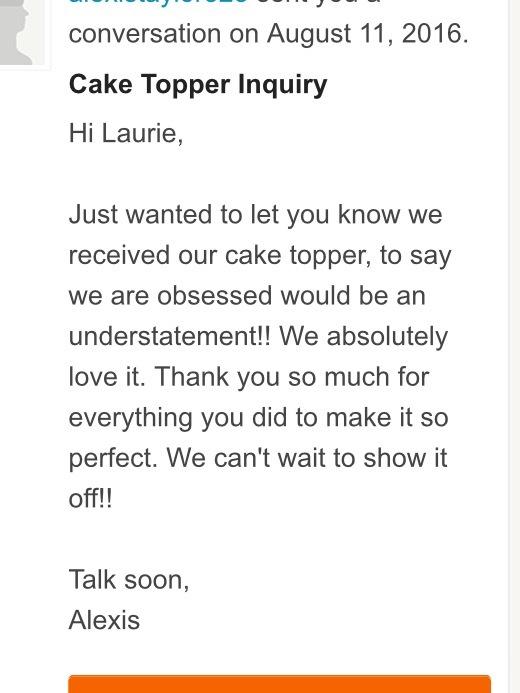 Thank you so much – it will look amazing on top of our cake!" tell you how awesome I think it turned out. You have totally captured Bronco, and I know Matt and Kelsi are going to love it. I wanted something personal to them for their wedding and this is definitely it. Thanks again you are an amazing artist!" "Thank you so much, I absolutely LOVE IT! It is amazing!" 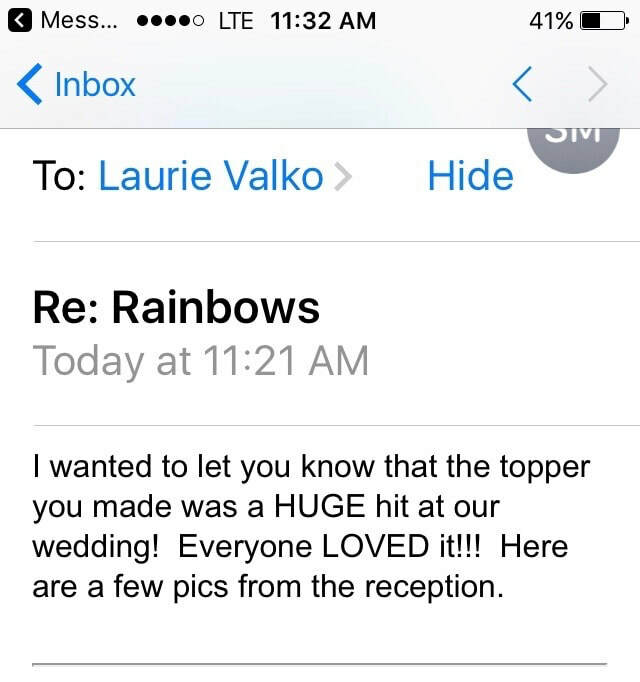 "Just wanted to let you know that we received our topper in the mail last week and it looks so GREAT! 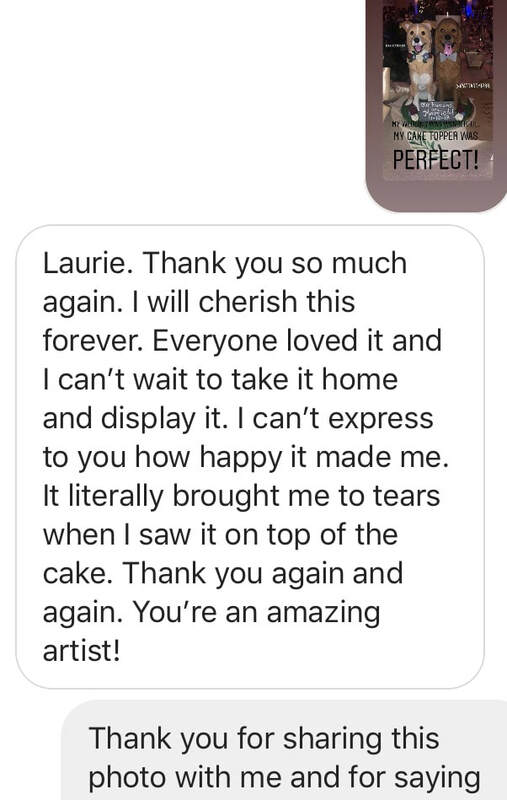 We really appreciate you squeezing our topper in, it really means a lot to us that we have Taylor on the top of our cake. 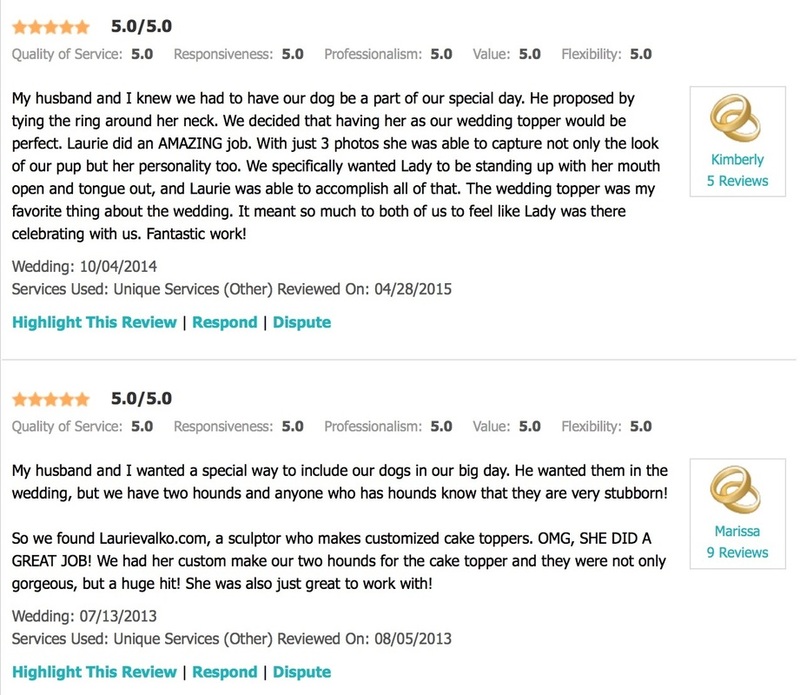 Afterall, we are getting married on our dog's birthday :) You did absolutely beautiful work and we couldn't be happier!" us a short teaser and I thought you would enjoy it! The link is below! 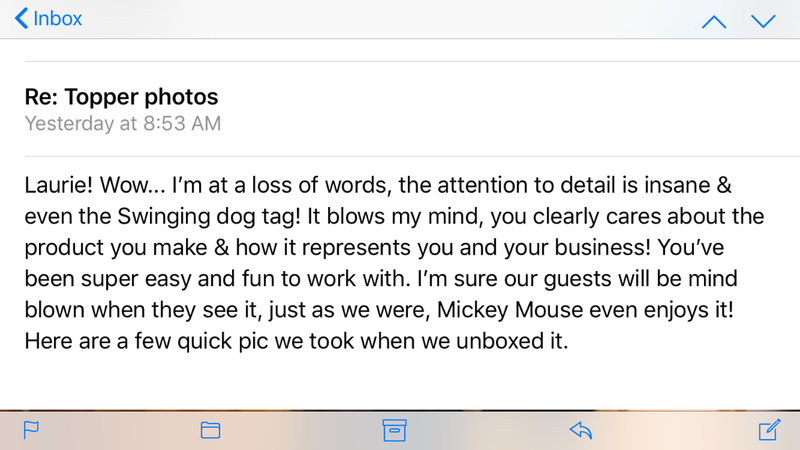 Thank you so much again and I have passed along your information as a ton of our friends absolutely adored the dogs!" Cassie fell out of her chair laughing/crying! My mom flipped out! It's perfect and its going to be the first thing everyone sees at the reception! Thank you so much, you have made us so happy!" "Just wanted to say thank you again. The cake topper was given as a gift and brought tears to the bride-to-be's eyes. She loved it! You did a great job and I will be sure to spread the word about your work/ website. Take care!"